The Black Flag Cafe© • View topic - Hatchet face to get the hatchet? Hatchet face to get the hatchet? Harriet Harman, the Labour deputy leader, is to be charged with crashing her car while using charges for using her a mobile phone. A CPS spokeswoman for the Crown Prosecution Service (CPS) said that Harman would be charged with offences of driving without due care and attention and driving while using a handheld mobile telephone. A court summons will be served on the MP for Camberwell and Peckham. Harman, 59, is said to have rundriven her car into a parked car The alleged offence took place on 3 July in Dulwich, south London, when at the side of the road. Harman She attended a police station earlier this month to be questioned about allegedly leaving the scene of a traffic accident and driving while using her phone and a file on the case was sent to the CPS. Today, lawyers said there was enough evidence to prosecute and that it was also in the public interest. Driving without due care and attention carries a maximum fine of £5,000 and aup to nine penalty points on a licence endorsement of up to nine points on your licence. Twelve point can lead to a driving ban. 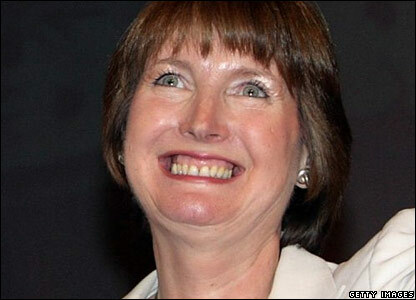 A The CPS statement said: "The Crown Prosecution Service has decided there is sufficient evidence and it is in the public interest to prosecute the Rt Hon Harriet Harman MP for the offences of driving without due care and attention and driving whilst using a handheld mobile telephone in relation to an incident on 3 July 2009. "The Metropolitan police service provided papers to the CPS on 9 November 2009 which were reviewed by the Special Crime Division in accordance with the Code for Crown Prosecutors. An MPS employee will now attend a magistrates court in order to obtain a summons to be served on Ms Harman." A spokesman for the Labour deputy leader said: "Ms Harman strongly refutes the allegations but is co-operating with police." Re: Hatchet face to get the hatchet?